Superheat is the measured value of the difference between the actual temperature of a refrigerant vapor and the saturation temperature of that refrigerant at the same pressure. Another way to describe it is the temperature of a vapor above it’s boiling temperature at a given pressure. 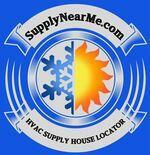 Ensuring proper superheat in HVAC and refrigeration systems is very important. Correct superheat ensures that the compressor is not being flooded. Flooding occurs when liquid refrigerant makes its way back to the compressor. This can cause lubrication issues and could damage the compressor. This test should only be performed by qualified HVAC technicians! Before you begin use your multimeter to ensure that power has been disconnected! Begin by testing the resistance of the windings. A single phase compressor will have three terminals. Common (C), Start (S) and Run (R). How to Test Contactors for HVAC and Refrigeration Systems. Contactors are used in both residential and commercial HVAC units as a means of energizing or de-energizing a load (usually a fan motor or compressor). Contactors are electrically controlled switches which use low voltage power to control high voltage/high amperage loads. A contactor consists of a coil that when energized creates a magnetic field around a laminated core. This magnetic field is used to pull the contacts closed, applying power to the load. Springs are used to open the contacts when the magnetic field is de-energized. The coils of a contactor are energized by the control voltage of the system. This voltage is typically 24, 120, 208/230, or 460 volts. When replacing a contactor, it is important to select the correct control voltage to match what is currently installed.